Planning your visit to NeoCon this year? Checking out the speakers and seminar programs? Ever wonder how The Mart team puts the comprehensive menu of speakers and subjects together? As we prepare for NeoCon 2018, we had the opportunity to chat with Monica DeBartolo, The Mart’s Director of Programming. When did you start working on the NeoCon programs? In 1994, I already was working for another division of the Merchandise Mart, putting international programs together. I was asked to work on the NeoCon programs for that year forward, and then became the Director of the Programming Department in 2000. The mechanics of putting the program together have changed dramatically. Initially, we had to review and disseminate information in hard copy format. In the early days, we had approximately 200 applications to study. We had to print out and mail in all the forms to the Program Advisory committee. Our team of advisors evaluates the submissions by their area of subject matter expertise. However, back in the day, that was a lot of physical labor. Not only that, but everyone had to read through everything in a concentrated period (typically around the holidays), to ensure that notifications got out to selected speakers in January. What can you tell us about the Advisory Committee? We have always sought advice from a panel drawn from across the industry. The initial advisory group consisted of members of various industry associations that attended the show. The selection of panel members grew from there. Currently, we have designers and architects that are members of AIA, IIDA, ASID, IALD, and also leaders in design education and related fields. They make a six to eight week commitment to help us select which programs are best suited for each year’s educational tracks. The panel then reviews submissions based on their respective area of expertise. We have some advisors that have been with me for all 24 years! How have the learning tracks changed over the past 24 years? The original tracks and their CEU components were not as sophisticated as they are today. We had significantly fewer educational tracks with much lighter subject matter. The field was narrower than it is now. The original 200 applications have grown to over 800 applications for this year’s show! 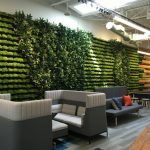 The initial offerings were geared to architects, designers, and furniture dealers, but over the years we have added tracks that have expanded to reach attendees seeking to learn more in the fields of green design, wellness, healthcare, hospitality, residential and lighting design and facilities management. We try and cover all the bases. This year’s seminars cut across 15 educational tracks with varying qualifications for health, safety, welfare, and future of design content. How do you manage and organize the review of so many applications? There are several practical considerations to manage the volume. Fortunately, our Advisory Committee is comprised of people with expertise and experience in the areas that we have chosen to focus our educational program. As the CEUs are designed to help the A&D Community and affiliated professionals maintain their competitive edge, we look to select topics and speakers that are best positioned to bring new information and perspectives to our attendees. We review the speaker bios, professional credentials (which are critical), experience, and their proposed topics and content. Current technology now allows us to evaluate everything electronically which has considerably streamlined the process. Along with soliciting ideas for program submissions from our Advisory Committee and show partners, we look at registration and attendance from the previous year to gauge interest and topics which garnered the most audience and positive feedback. We try and balance subject matter to ensure there is a variety and take an additional look at how the topic rates with the level of experience for each track. The advisors review the proposals and score them from one to five points. Once the review process is completed, we look at the times slots, room availability and the mix of subject matter to create the overall program schedule. For example, the office design track has the highest demand in attendance. We work to balance across the 15 time slots over the three-day period and the available meeting rooms. At that point, it’s all about logistics! What are you anticipating for this year? The excitement is building for NeoCon 50. Our keynotes are always filled. Now we can live stream to the event space located at the Grand Stair of The Mart so even more people can see the presentations. This year we expect over 3,000 seminar registrations. One thing that is unique about our show is that attendees can pick specific programs to meet their needs and build their educational program. There are many people required to put the programming in place – it takes a village! It’s always most gratifying for me to get the post-show feedback. When people take the time and make an effort to let me know how their experience at a seminar or keynote has enriched their NeoCon experience, that validates all the hard work the entire team put into planning and preparing for the show. We expect this year’s show to be exceptional. Find out about this year’s programs and register here!